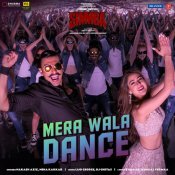 T-Series are proud to present the eagerly anticipated brand new single released by Nakash Aziz & Neha Kakkar entitled “Mera Wala Dance“, music by Lijo George & DJ Chetas! Taken from the upcoming Bollywood movie “Simmba” releasing 28th December 2018!! ARE YOU Nakash Aziz? Contact us to get a featured artist profile page.